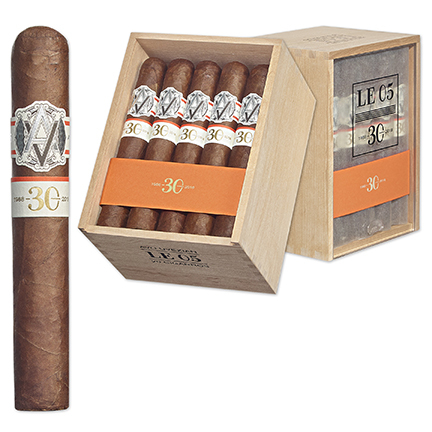 Joining in the "30 Years of AVO" celebration are the spectacular AVO LE 05 cigars! AVO has rereleased some of the brand's most phenomenal limited edition blends developed over the course of its 30-year history and the LE 05 is ranked among the greatest by cigar aficionados across the globe. Originally introduced in 2005, the medium- to full-bodied LE 05 is a unique and intense blending of Dominican fillers and binder covered in a stunning Ecuadorian wrapper. AVO's master blenders had a difficult time recreating the 2005 blend's perfect balance of complexity and sweetness ~ until now. Do not let these very rare cigars pass you by because only 1,500 boxes were produced and they may never be released again.